Clients from different industries can avail our extensive Crawler Cranes Rental Service. We are specialized in offering our cranes on rental basis to meet the application requirements of refineries, bridges, nuclear and thermal plants. All these cranes are performance efficient and have the capacity to bear the load up to 18 to 450 tons. Apart from this, our respected clients can easily acquire the Crawler Cranes Rental Service at highly affordable charges. 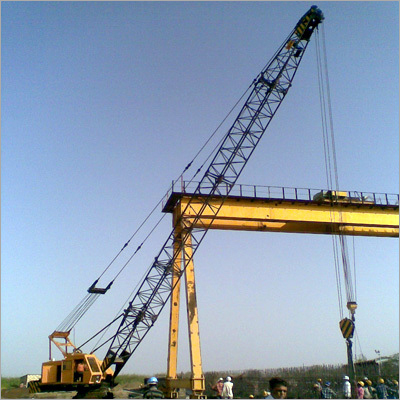 The crawler cranes used by us is of some reputed companies such as Terex, IHI, Linkbelt, Robelco, Manitower and others.